The site is hard-standing with parking, refreshments and toilets nearby. 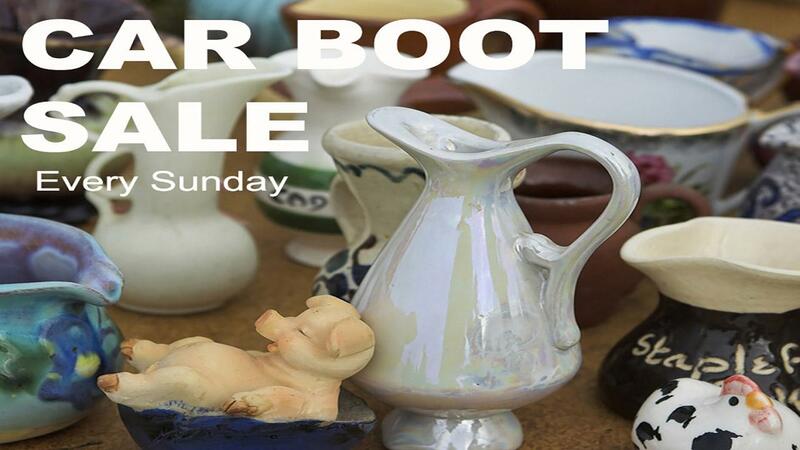 On busy days there are as many as 200 car boot sellers! NO NEED TO BOOK - FIRST COME, FIRST SERVED! "We go for the Car Boot Sale. It's always a good one." If you are experienced or even a first time booter, our friendly staff will look forward to seeing you. The earliest you can arrive on site is 7am and trading starts at 8am. For further enquiries please contact events@chesterfield-fc.co.uk or call 01246 209765. **Please note that the organisers reserve the right to cancel the event on the day if there are deemed to be insufficient sellers in attendance.